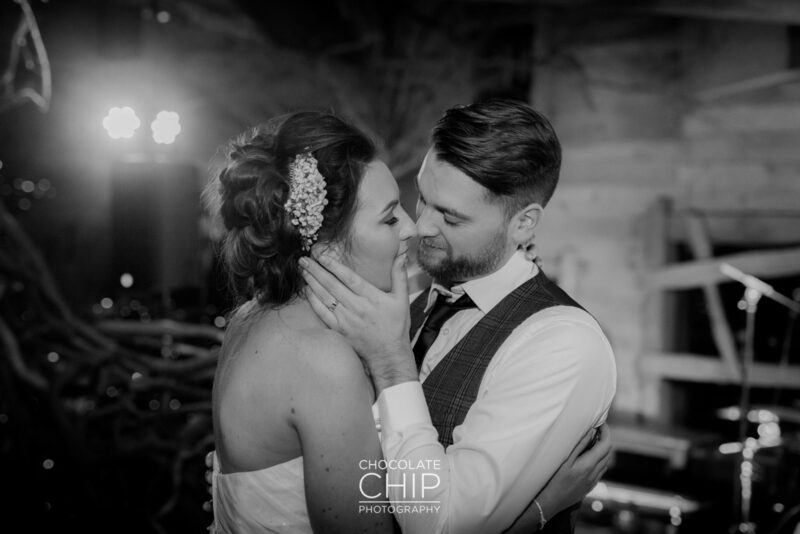 We initially met Jess and Nathan through a series of mutual friends. 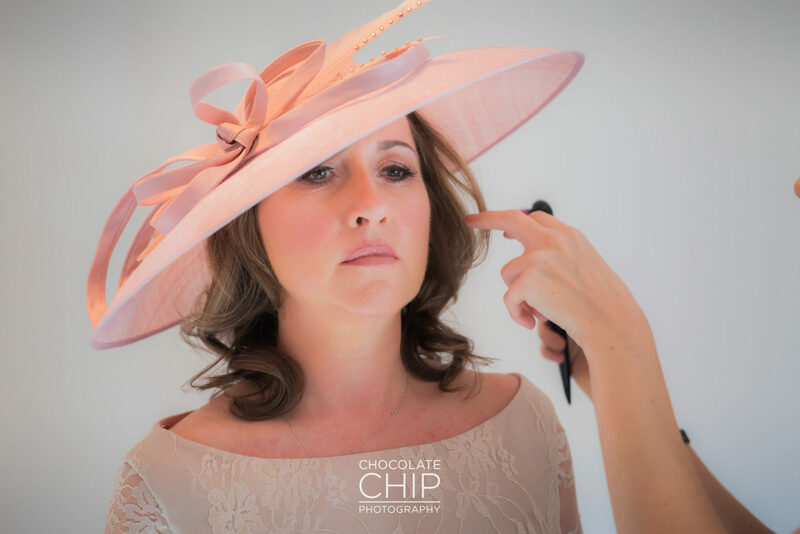 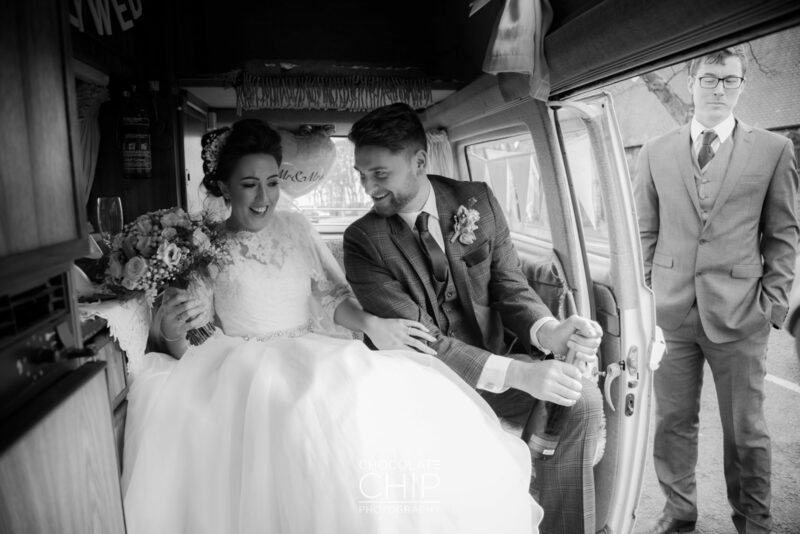 They were looking for something different and were drawn to our style of photography. 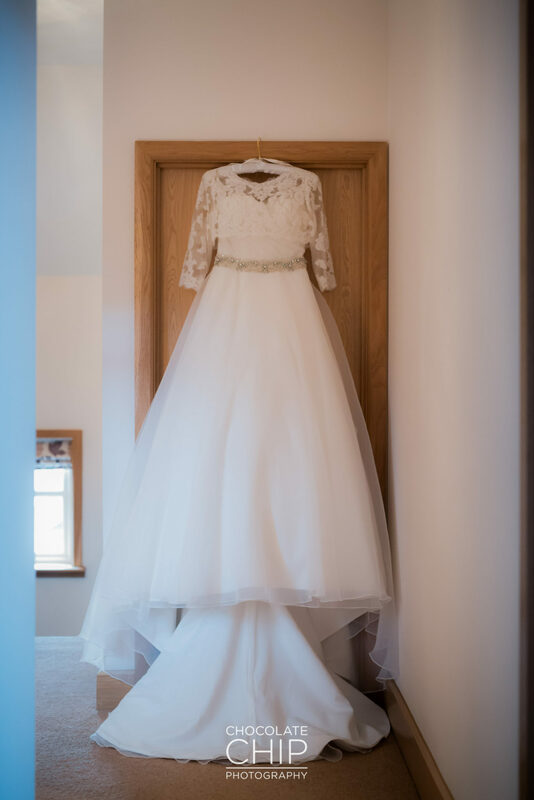 After a long chat on the phone, they decided to book with us. 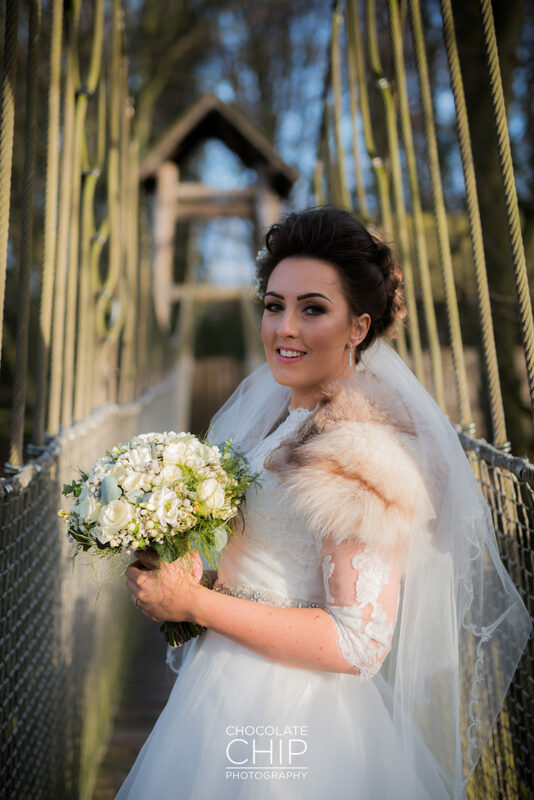 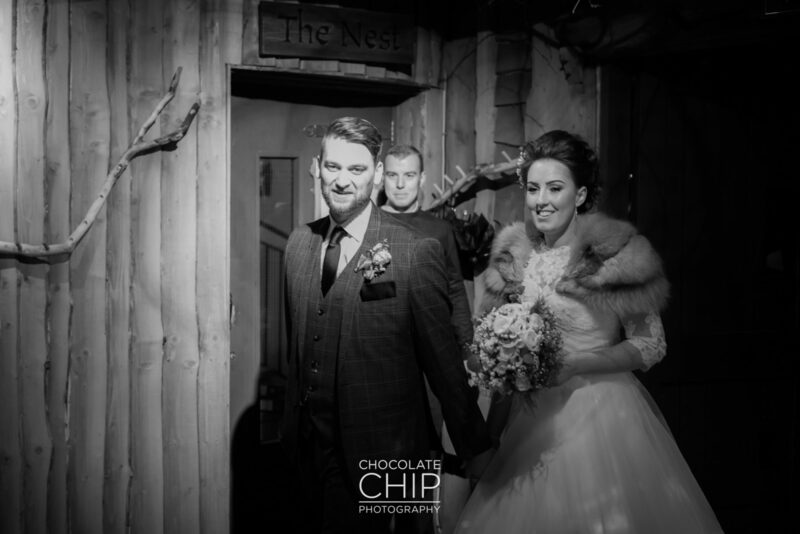 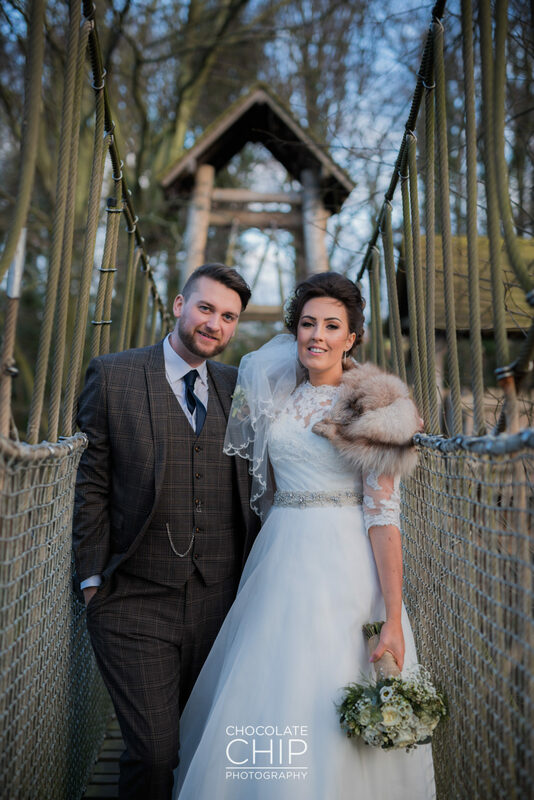 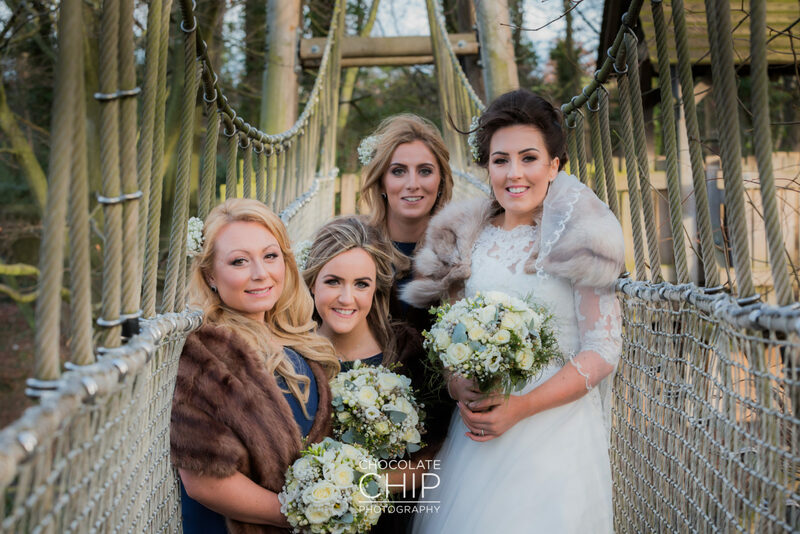 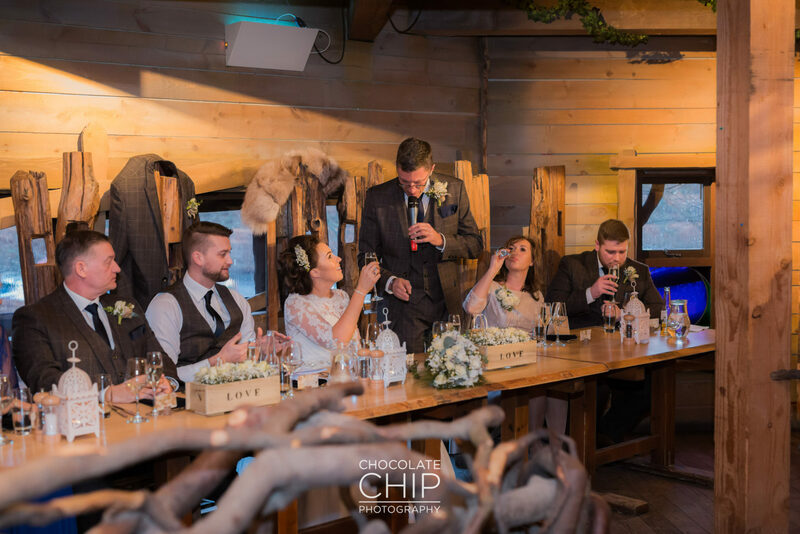 They had chosen Alnwick Treehouse as their venue. 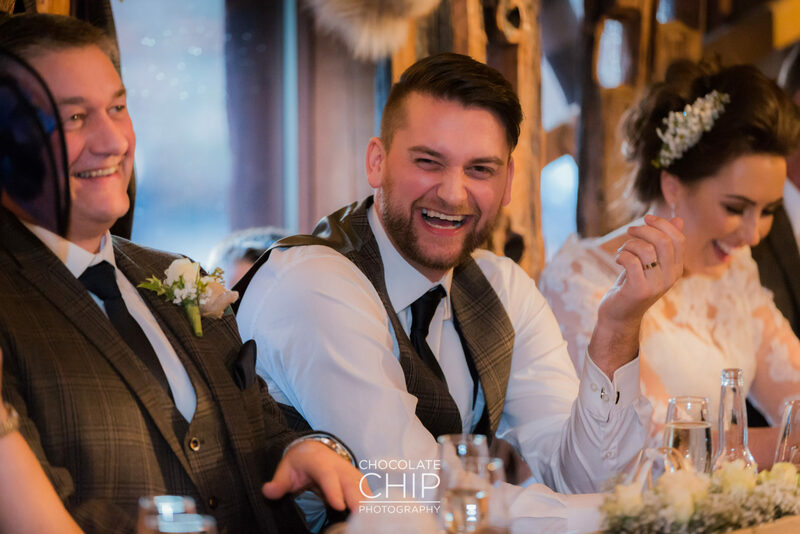 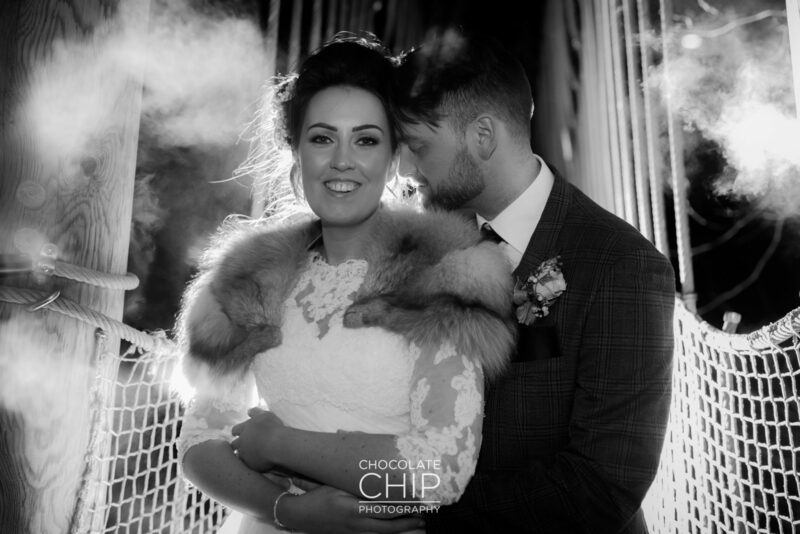 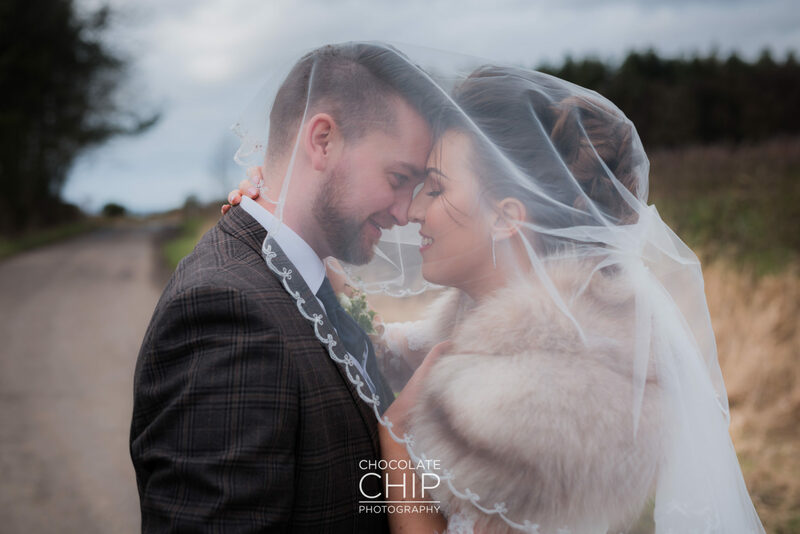 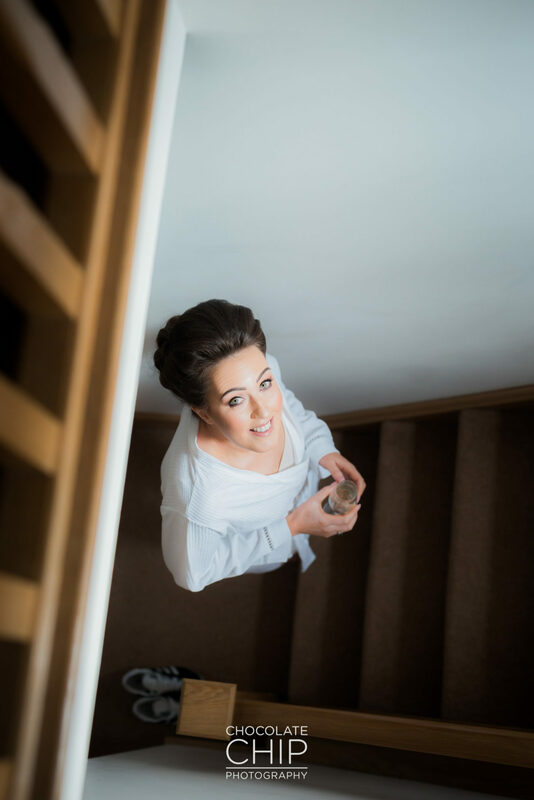 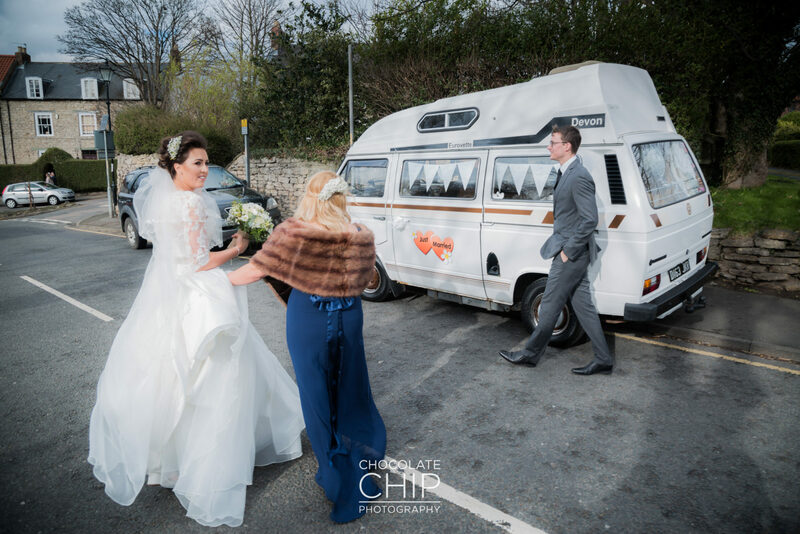 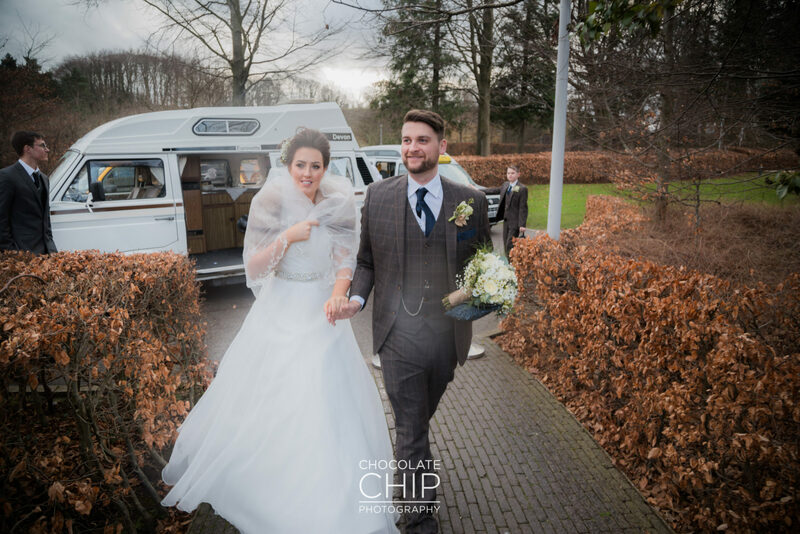 We had photographed there before but Jess and Nathan’s brief was simple… “We want to be the wedding that you put in your showcase albums”. 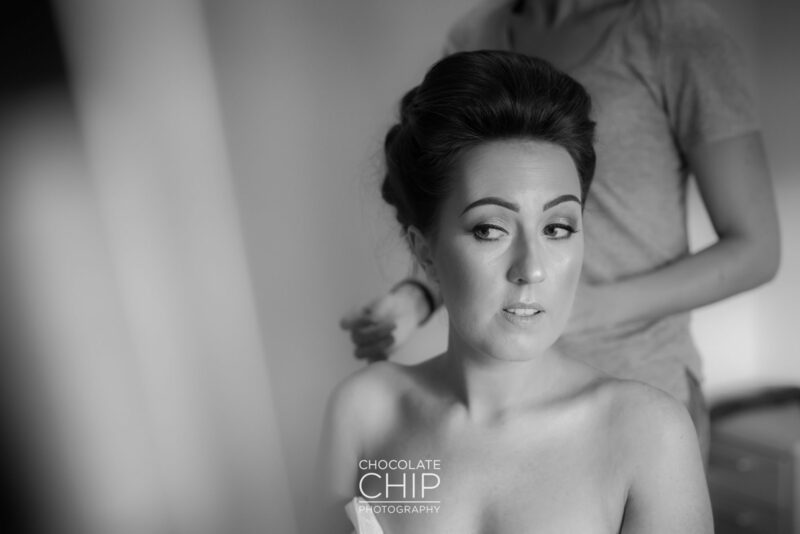 We arrived nice and early at Jess' House to capture the family getting ready. 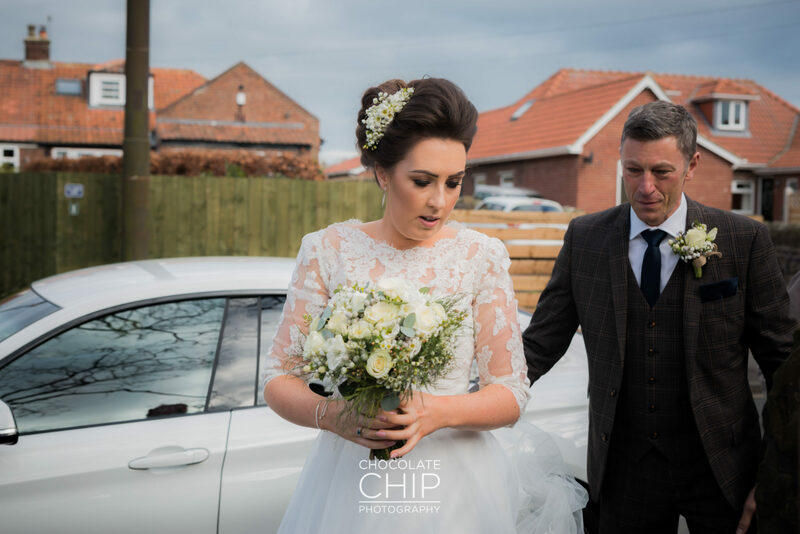 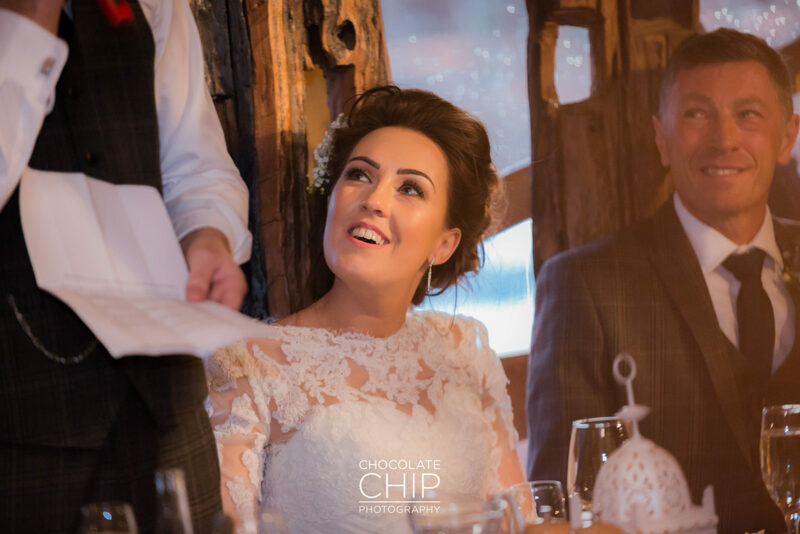 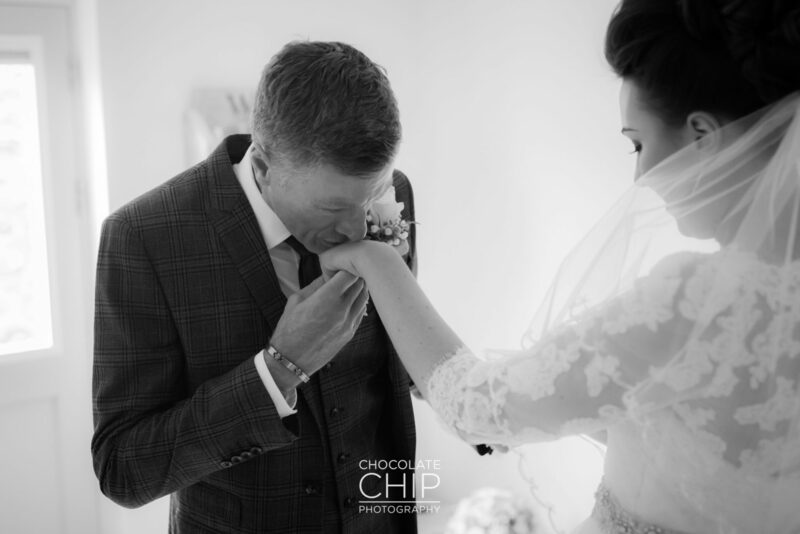 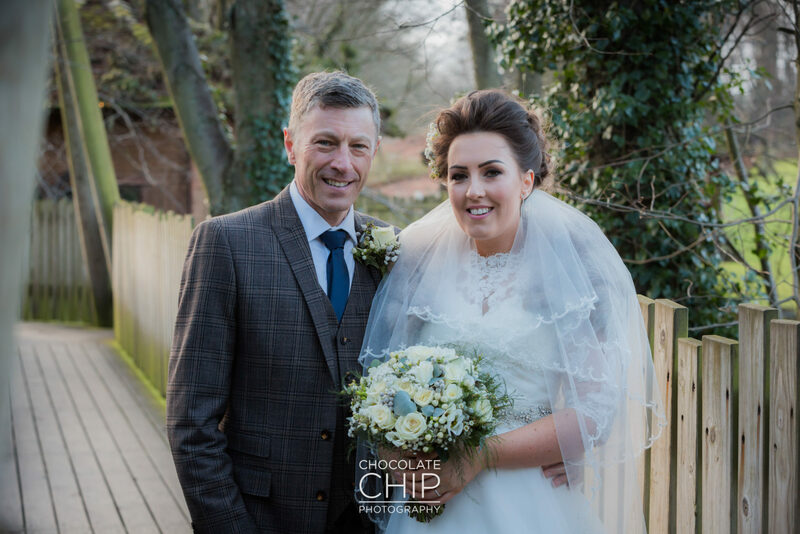 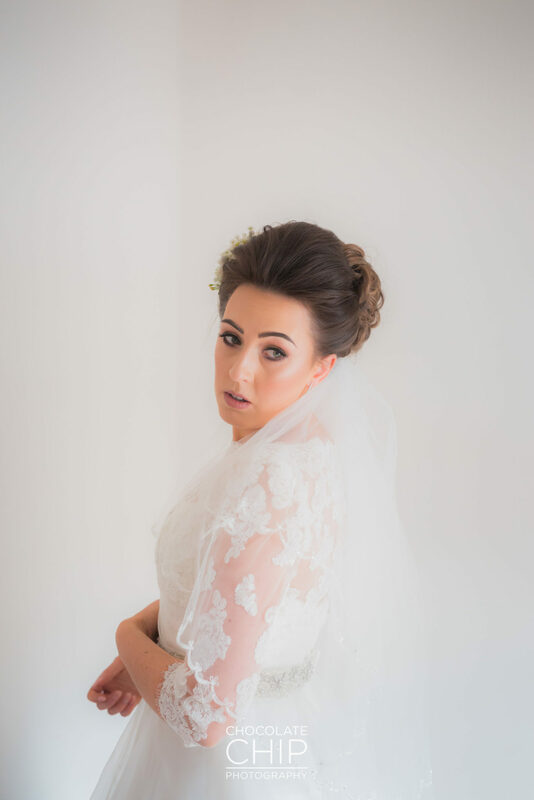 Jess looked incredible in her dress and as her dad saw her for the first time, he took a moment to show how much he loved her. 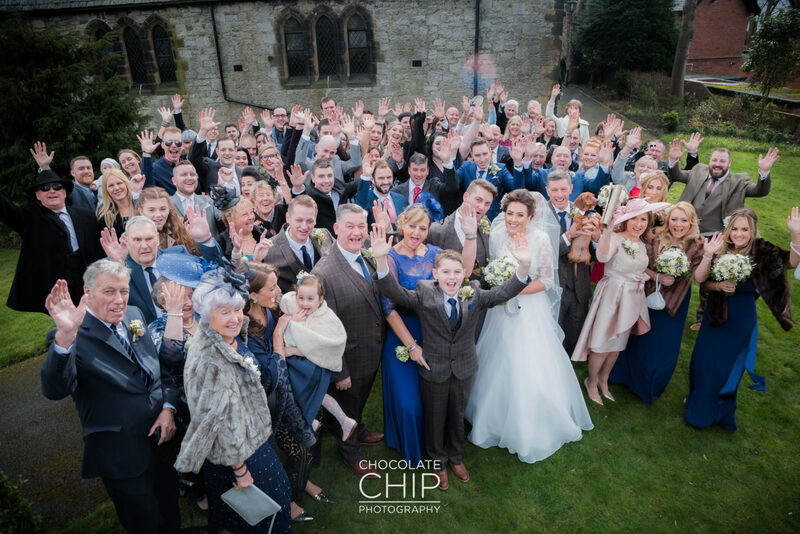 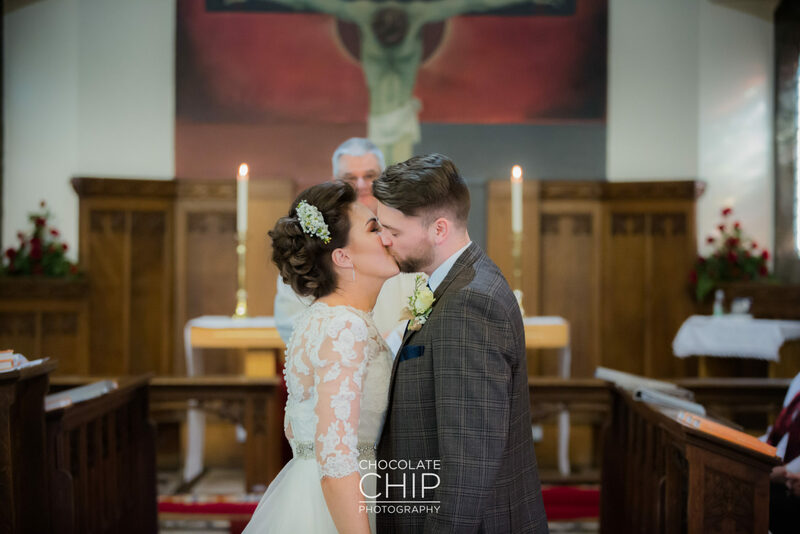 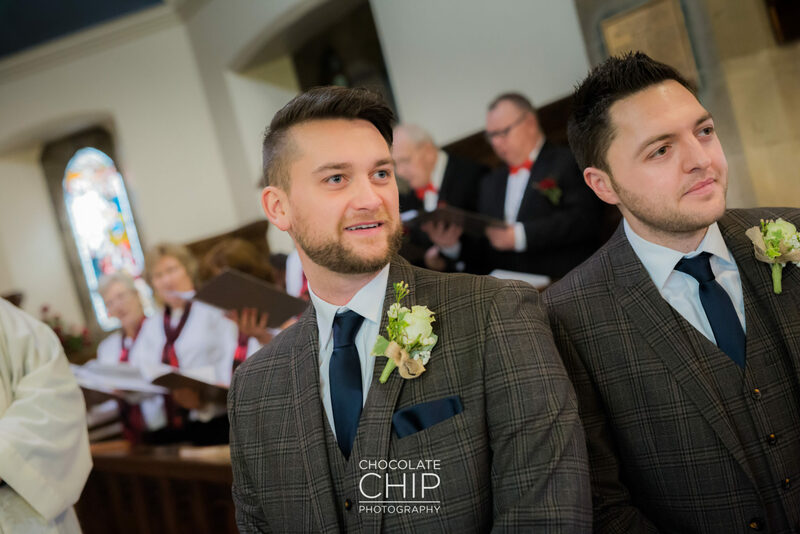 Everyone was ready and waiting at the church as Nathan eagerly awaited Jess' arrival. 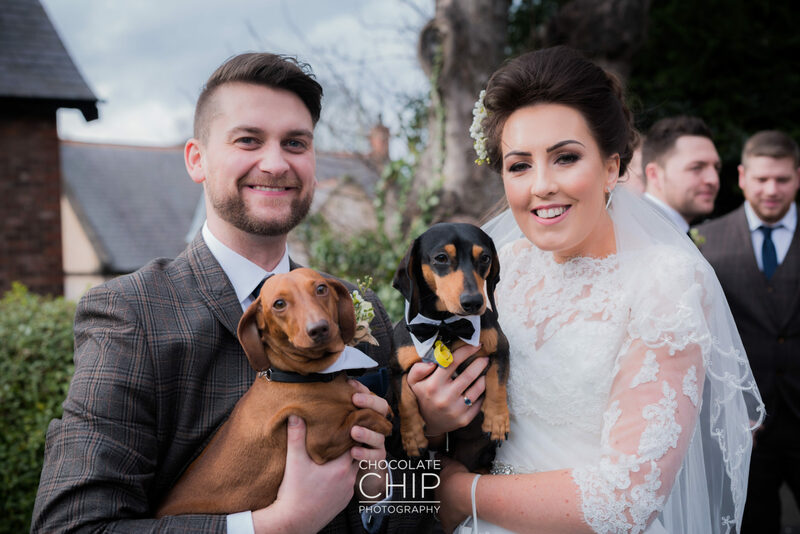 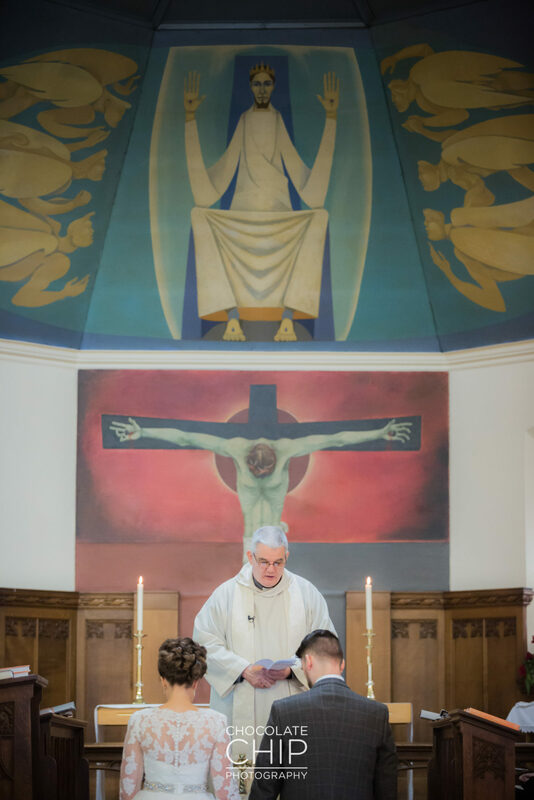 After the ceremony, we were joined by two special, sausage shaped guests. 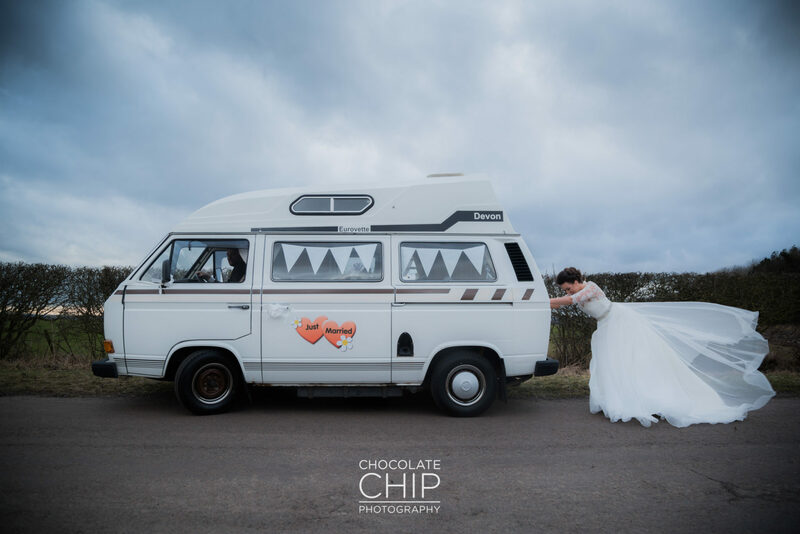 Their guests surprised Jess and Nathan with a camper van, so on the way up to Alnwick Treehouse, we stopped off on the moors for some photographs. 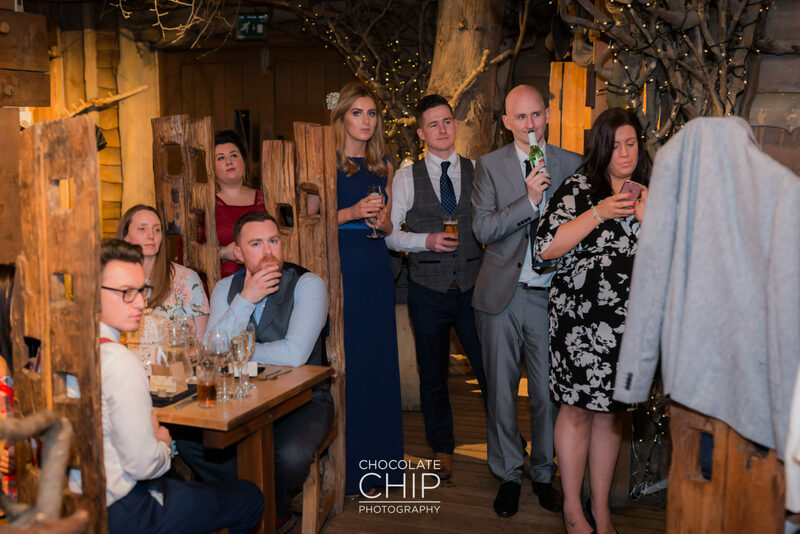 It was time for a few family photographs at the treehouse before guest took their seats for the speeches. 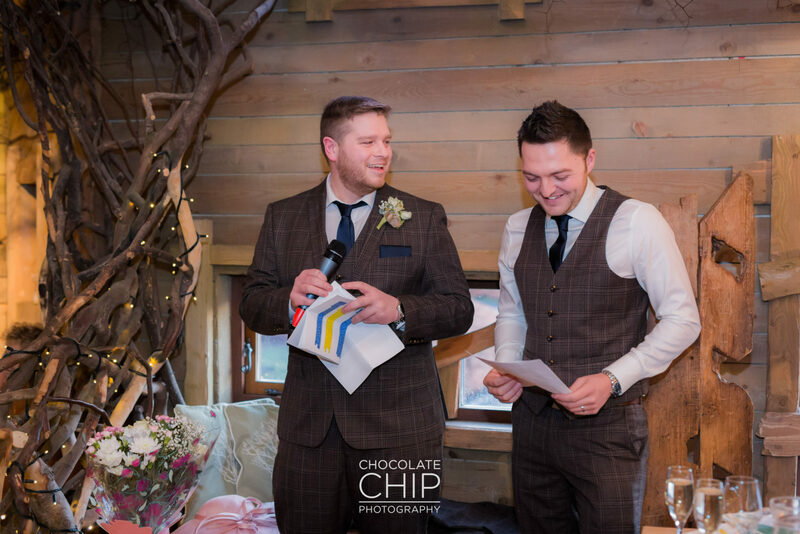 A mix of thoughtful, from the heart and thoroughly entertaining would be the best way to describe the speeches. 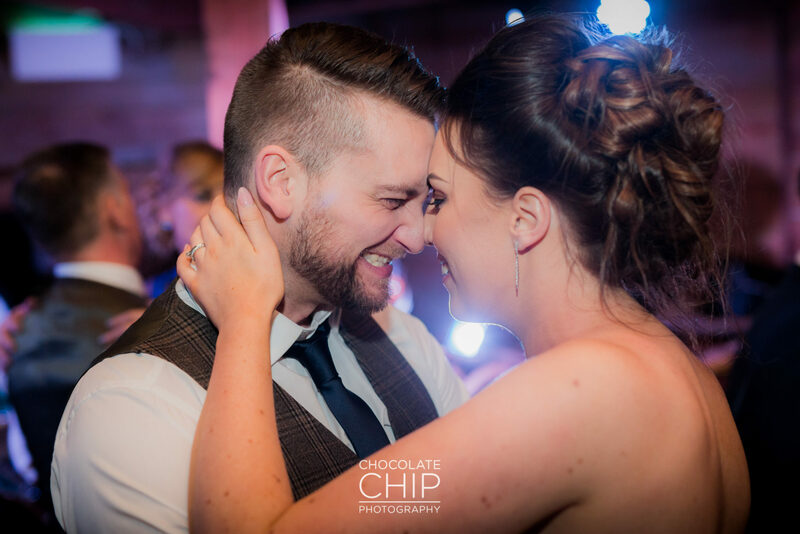 After the meal was over and guests had got themselves into the swing of things, it was time for the first dance.